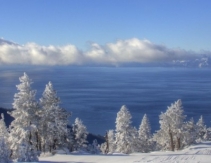 Mountain Cams Take in the beautiful views of Lake Tahoe and see up-to-date snow conditions with multiple high-definition cameras. 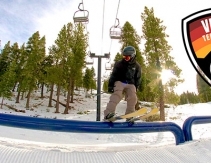 The Village Terrain Park Features will be constantly evolving throughout the season, so come back often to check it out. 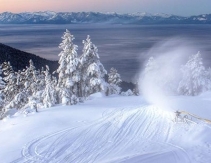 Snowmaking & Grooming Diamond Peak was the first resort in Tahoe to install snowmaking in the 1960s, and we continue to upgrade and invest in this technology as well as top-notch grooming equipment. 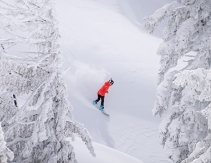 Sustainability & Environmental Efforts Diamond Peak Ski Resort is proud to be one of many that recognizes global warming and the effects that pollutants have on our environment. 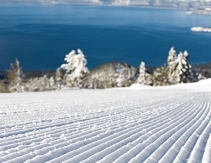 Virtual Tour (Xplorit) Get acquainted with the resort with a virtual tour by Xplorit. 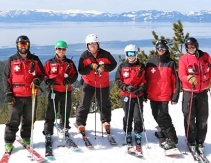 Mountain Safety We are committed to the safety of our guests, staff, neighbors, and environment. 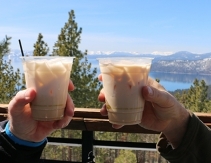 Diamond Peak strongly urges you to follow these safety tips. 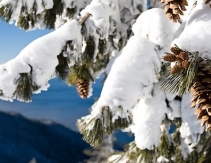 FAQ Find the answers to some of our most commonly asked questions. Reviews We love to hear from our guests and encourage you to let us know about your visit so we can continue to improve. 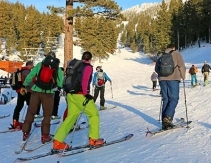 Uphill Use Policy Uphill use by means of skinning or snowshoeing has gained in popularity in recent years at Diamond Peak Ski Resort. 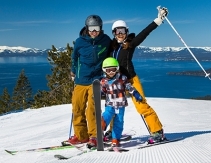 The ski area welcomes and supports individuals seeking to exercise and enjoy the quiet mountain setting with an Uphill Access Pass. 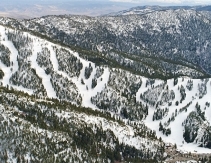 Steeps & Stashes Knows as a beginner-friendly resort, locals know that Diamond Peak offers the 4th most rideable vertical in Tahoe, ripping groomers and incredible tree skiing/riding.